You don't have to sacrifice good skin. "It’s considered category b pregnancy which means considered safe and no known risks to fetus but I still recommend patients discuss with ob first. It’s great at controlling acne but at same time also improves discoloration that can occur with pregnancy." "I know people talk about a pregnancy glow but I never got that glow! Clarins perked me up and gave me that glow I needed when I was looking dull and feeling tired. I’m still obsessed with it and I’m always for a fake tan!" "Once the skin starts to stretch in the second trimester it’s important to keep it moist so that it doesn’t 'tear' during this process creating stretch marks. I put it all over." "Pregnancy can leave you predisposed to getting a pregnancy mask or darkness from the sun. C E Ferrulic has vitamin c to help brighten and lighten the skin and also has antioxidants to help protect your skin from the sun." "Your skin during pregnancy can get pretty dry with all of the hormone changes. I love using this serum on a slightly wet face to really lock in moisture." "This night cream is packed with ceremides fatty acids and cholesterol naturally moisturizes and repairs the skin, leaving it feeling silky." "I recommend a soap and fragrance-free makeup remover to have the purest form of skincare, especially during pregnancy. Dickinson’s Original Witch Hazel Daily Refreshingly Clean Cleansing Cloths deliver a clean, balanced and blemish-free complexion, without over-drying or leaving a sticky residue." "Beyond dark circles and under eye bags, the first signs of tired skin or lack of pregnancy glow is dry skin. To replenish hydration, I like SkinMedica HA5 Rejuvenating Hydrator. It is a hydrator with a gel-like consistency and has five different types of hyaluronic acids. 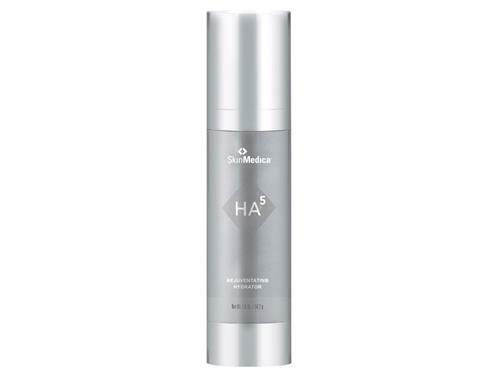 The Time Release HA, a SkinMedica proprietary ingredient for sustained release of HA works perfectly for me because I know I’ll have hydration throughout the day."